When Aurelia asked if we could take her senior photos in downtown Northampton I got super excited. I worked for 7 years in Northampton as a commercial photographer and would often wander into the city to find interesting places to capture. I have an impressive map of Northampton's most photogenic alleys, tagged up walls, and city views stashed in my melon. Aurelia is an artist and musician and was just so fun to work with. She wanted colorful backdrops and a city vibe. I think we got it! Best of luck to you Aurelia! book your senior session now! A round up of my most favorite pictures taken at my Spring Mini sessions in May. I feel so lucky to have photographed Joshua and Sarah's proposal as a surprise in downtown Easthampton along Nashawannuck pond. The pond sits at the base of Mt. Tom and behind a string of shops and restaurants in the old mill district. The best part about this proposal was that neither Joshua nor Sarah knew that I was hired to be there! It took some coordinating but I managed to capture the moment. 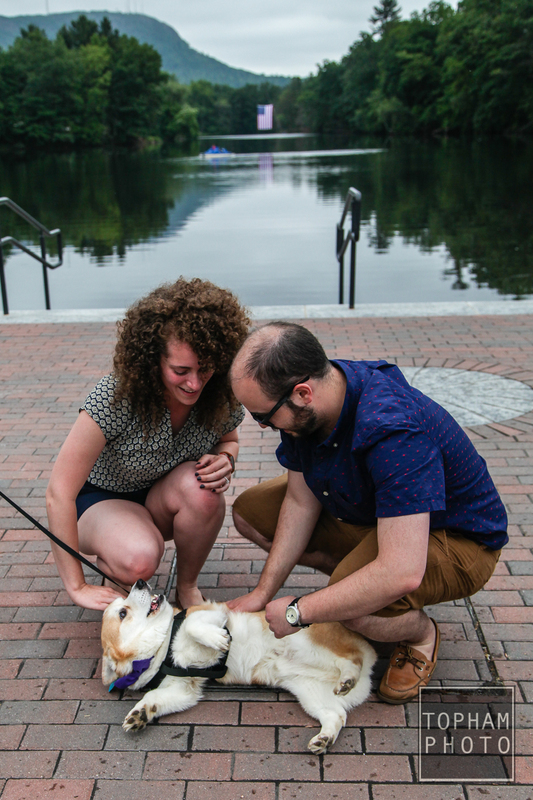 Sarah has a love for corgis in bow ties, so her boyfriend Joshua decided to find a "stranger" (friend of his sister) to casually be walking her corgi in a purple bow tie by the pond where they were walking. When Sarah saw the corgi up ahead, she immediately started running towards it to see if she could say hello. The corgi, named Nudnick, had a note tied to his collar that said, "Will you marry me?" After she saw the note, Joshua got on his knee and asked her to marry her and she said yes! 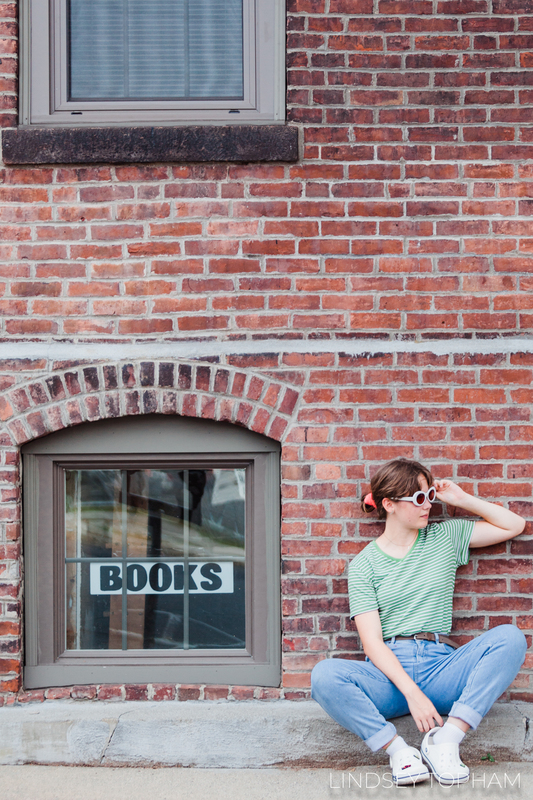 This morning I met Cassidy for a photo session in Northampton, Massachusetts. She's a high school senior who will be starting starting nursing school in the fall. This girl is smart, strong, and sweet. I can sense that she will make a great caretaker! Best of luck to her in her final year of high school! 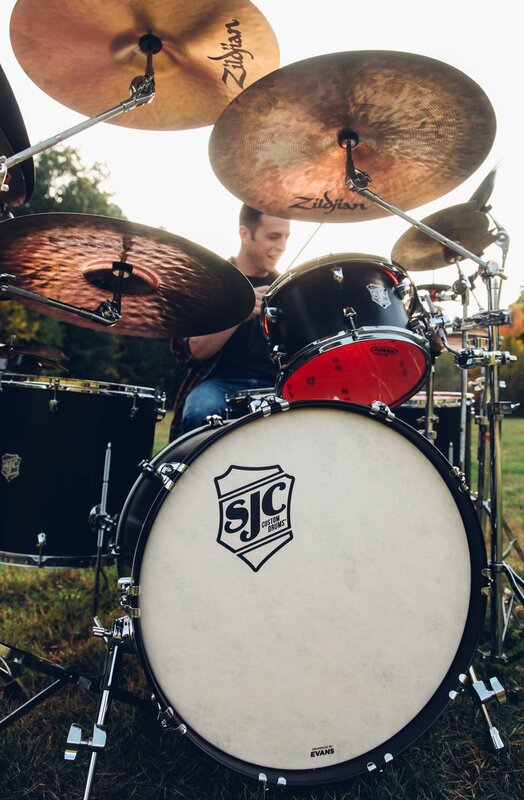 Over the summer my husband joined the SJC drum family, and has been waiting so patiently for me to take photos of him with his new kit for their website. This afternoon he trucked all of his gear out to a nearby field just in time for sunset and we had some fun taking photos. I'll admit, it's a struggle photographing a drummer behind all of that gear, but I think we got a few keepers. Tagged: portrait, new england portraits, new england photography, western mass photography, sjc drums, giraffes? giraffes!